Motörhead was an English rock band formed in 1975 by bassist, singer, and songwriter Ian "Lemmy" Kilmister. Motörhead released 22 studio albums, 10 live and 12 compilation albums over a career spanning 40 years. 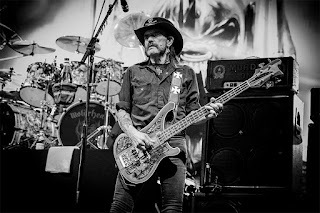 Lemmy died in late 2015 of prostate cancer.